To err is human, and we’ve all done it, especially in the form of a typographical error. But different types of typos can have hugely varying consequences—there’s a big difference between spelling your coworker’s name wrong in an email and committing an error in a book that will be preserved in print for all history to refer to. Typos can be profitable, too, of course—according to legend, the name Google is derived from a misspelling of “googolplex.” But useful or embarrassing, sometimes typos are forever, perhaps even more in the age of the internet. Here are some of publishing’s most memorable blunders. 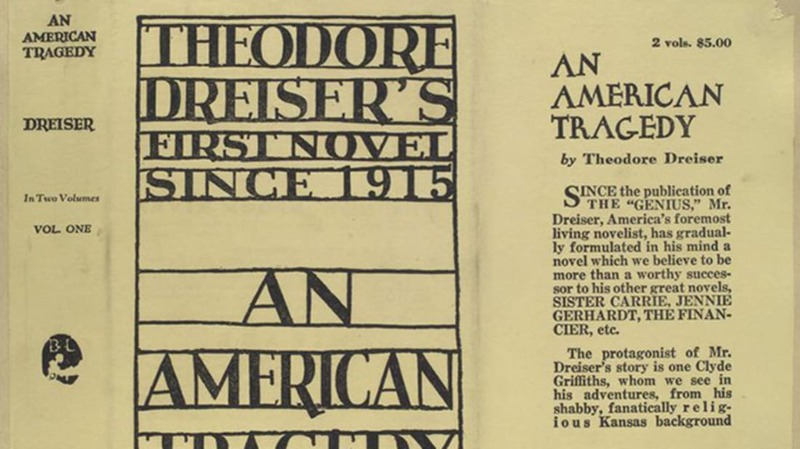 Theodore Dreiser's 1925 classic has a handful of small typos, of the “to/too” and “if/it” persuasion, but perhaps the cutest is the place where characters are referred to as “harmoniously abandoning themselves to the rhythm of the music—like two small chips being tossed about on a rough but friendly sea.” One can probably assume he meant “ships,” but there’s always a chance that he was talking about a sea of pico de gallo. One can tell the first, second, and third printings of Pearl S. Buck’s 1931 novel apart from later printings by a blooper on page 100, line 17, wherein a wall against which people set up their huts is being described. “It stretched out long and grey and very high, and against the base the small mat sheds clung like flees to a dog's back.” Editions of the book that include the misspelling can go for as much as $9500. The original hardcover edition of Neal Stephenson’s 1999 sci-fi thriller famously contained a number of simple typos (“a” instead of “at,” “that” instead of “that’s”). There is also a switch-up on page 700—the word “factitious” is used in place of “fictitious.” However, many fans maintain that Stephenson did this deliberately and that the typos comprise a hidden message, per one of the themes of the book—cryptographers attempting to crack World War II-era Axis codes. The first book in the beloved Harry Potter series would be treasured by muggles even if it didn’t carry a typo, but a selection of copies are valued at a small fortune for this reason. The mistake is found on page 53, in a list of school supplies that young wizards are expected to bring to Hogwarts: “1 wand” is listed at both the beginning and at the end. That said, the typo did reappear in a few later printings even after it was caught in the second round, so it’s only the true first editions that are worth beaucoup bucks. It’s almost like Henry Miller wasn’t even trying here—or that his publisher wasn’t even trying to hire a proofreader. His 1961 novel about general debauchery in Paris led to over 60 obscenity lawsuits and features a whole mess of typographical errors, such as “He listend to me incomplete bewilderment” (page 271), and “Even after he has slept with one of these mythical cratures he will still refer to her as a virgin, and almost never by name” (page 91). One might even suspect that Miller wasn’t … altogether sober while he was writing it. This 1631 edition of the King James Bible by Robert Baker and Martin Lucas included an accidental new twist on the 7th Commandment, informing readers that “Thou shalt commit adultery.” This managed to incense both King Charles I and the Archbishop of Canterbury—its publishers were hauled into court and fined £300 (a little over $57,000 in today’s U.S. dollars) for the oversight and they had their printing license revoked. Most of the copies were subsequently burned, and the book picked up the sobriquet “The Wicked Bible” or “The Sinners’ Bible.” Only about 10 copies remain today—one was put up for sale by British auction house Bonhams just last year. In the first edition of Cormac McCarthy’s postapocalyptic The Road, page 228 reads, “A moment of panic before he saw him walking along the bench downshore with the pistol hanging in his hand, his head down.” The rest of the paragraph talks about being on the beach, though, so it’s safe to imagine that’s what McCarthy meant. Unless it was a bench down the shore. Presumably a long one that you can walk along? The 1973 novel, Thomas Pynchon’s best-known, contained a handful of typos, including: “Over croissants, strawberry jam, real butter, real coffee, she has him running through the flight profile in terms of wall temperature and Nusselt heart-transfer coefficients ...” It should be “heat-transfer,” of course. Karen Harper regularly receives major props for accuracy when it comes to historical detail in her popular, mostly Tudor-themed novels, but the same can’t be said for lexical detail. In her 2010 hit The Queen’s Governess, Harper made a small but memorable slip. When heroine Kat Ashley, lady-in-waiting to Anne Boleyn, is awoken in the night by ruffians who demand to see Princess (later Queen) Elizabeth, she remarks: “In the weak light of dawn, I tugged on the gown and sleeves I'd discarded like a wonton last night to fall into John's arms." Okay, to be fair, folks in Tudor England probably didn’t have a lot of experience with Chinese food, but even so, you’re not supposed to unwrap wontons before you eat them (the word she was looking for, of course, was wanton). There’s a weird one in Clive Cussler’s joint novel with Jack Du Brul, where a character finds himself in an overturned ATV: “He goosed the throttle and worked the wheel, using the four-wheeler’s power rather than moist his strength to right the six-hundred-pound vehicle.” Sort of makes sense—in an emergency, you gotta reserve all your juices for later. It was lauded as “the book of the century” after being released in the U.S. in 2010, but when Freedom, Jonathan Franzen’s follow-up to 2001’s The Corrections, was published in the UK, an early, unproofed version of the manuscript was mistakenly used, resulting in a final print that was absolutely riddled with typesetting errors. The misprints in the British version numbered in the hundreds. HarperCollins ended up recalling thousands of copies of the novel and let fans exchange their tainted books for new, corrected copies, going as far as to set up a “Freedom recall hotline.” Maybe Franzen should have saved the title “The Corrections” for this book instead. In 2010, Penguin Group Australia had to ditch about 7000 copies of The Pasta Bible when it was discovered that a recipe for spelt tagliatelle with sardines and prosciutto told cooks to “add salt and freshly ground black people,” rather than pepper. The gaffe was blamed on a spellcheck error and the company’s head of publishing brushed it off as “a silly mistake,” but it ended up costing the company a not-silly 20,000 Australian dollars (about $14,900 USD in 2016). The first edition of Twilight is festering with typos, which is perhaps unsurprising, seeing as it was written in just three months and was sent to press in a similar hurry. Most of the blemishes are of the “whose/who’s” and “though/through” variety, but there are a few funny ones, including “I ate breakfast cheerily, watching the dust moats stirring in the sunlight that streamed in the back window.” One can imagine that Stephenie Meyer, who went from being a stay-at-home mom to finding herself on Forbes’ list of the world’s highest-paid celebrities in the space of just a few years, probably didn't lose too much sleep over it.